The Harper government has quietly pulled the plug on a $55-million deal to provide mobile radar units to Canada's CF-18 bases. Public Works won't say why the contract, signed in 2010, went bust, but it's the latest procurement project to go sour. Another multimillion-dollar military purchase has gone off the rails. The Harper government is terminating its contract with Thales Canada Ltd., which was to supply new radar units to support Canada's CF-18 fighter jet squadrons in Cold Lake, Alta., and Bagotville, Que. The deal signed in November 2010 was initially worth $55 million for two tactical-control radar systems, with delivery to begin in 2013. Thales won the tender over one other bidder. Defence Department documents show costs had risen to more than $78 million by 2013. And by November last year, the Public Works Department was deep in negotiations with Thales to resolve problems. "In February 2015, Canada and Thales reached agreement in principle to terminate this contract by mutual consent," said Public Works spokeswoman Annie Trepanier. Negotiations for a final termination agreement are still underway, and Public Works declined to provide any information about penalties, losses to the taxpayer or even the reason for the termination. "Public Works is working with DND [Department of National Defence] to identify an appropriate path forward to meet their long-term capability needs on this project," Trepanier said in a terse email. National Defence documents indicate the military had spent at least $6.5 million on the doomed project by 2013. The botched deal is yet another military procurement gone sour, alongside the more high-profile F-35 Stealth Fighter project, the Cyclone helicopter purchase to replace the aging Sea Kings, and used British submarines that have been sinkholes for maintenance and repair dollars. The deal for two Ground Master 400 air-defence radars, a product launched by Thales in 2008, was to replace existing equipment acquired in 1991. "Our government's investments are helping to ensure that our airmen and women have up-to-date equipment and infrastructure needed to perform their missions," Peter MacKay, then defence minister, said in early 2011 when announcing the deal. MacKay said first deliveries were expected by February 2013, and that 40 jobs would be supported until final deliveries in September this year. The France-based parent of Thales Canada, Thales Group, said its Ground Master 400 systems have been sold to Germany, Finland and Malaysia, among others. 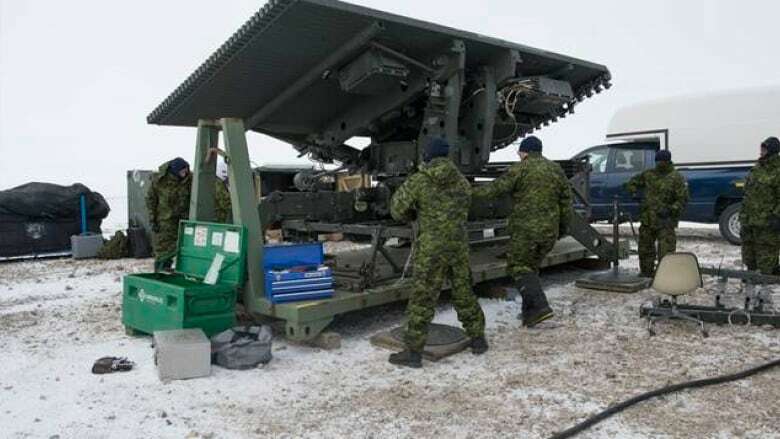 Canada's existing tactical radar systems are designed to be mobile, and have been deployed to Germany in 2000, Florida in 2008, and to Resolute Bay, Nunavut, in May this year, among other locations. Most of the time, they support Norad fighter-jet training at their home bases by providing a comprehensive picture of the skies up to 450 kilometres away. 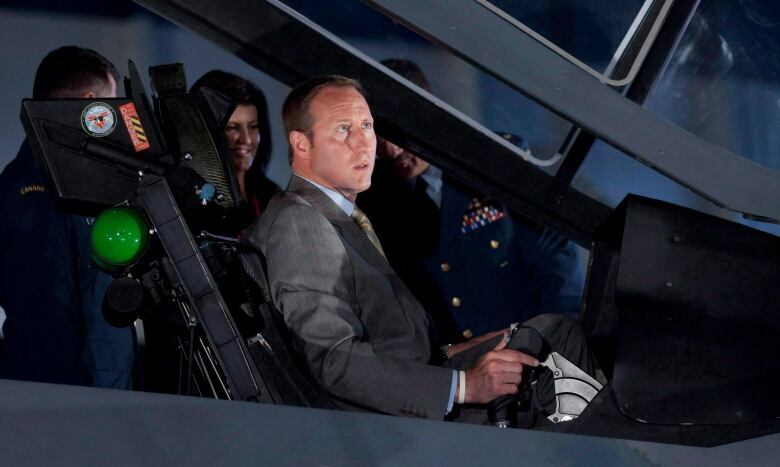 When he was defence minister, Peter MacKay checked out the cockpit of an F-35 Joint Strike Fighter in Ottawa in 2010, before the plan to procure the jets fell apart. (Adrian Wyld/Canadian Press)An expert in military procurement, David Perry, said it's not clear whether smaller deals like the radar project are as beset with problems as high-cost contracts. Departments are required to report regularly to Parliament only on major Crown projects worth more than $100 million, which means smaller projects can escape proper scrutiny. "We tend to place a lot of the focus on the big projects.… Is it only the big ones that have been problematic or are they just the only ones you ever hear about?" said Perry, a senior analyst with the Ottawa-based Canadian Global Affairs Institute. Perry said he plans a project beginning next month to examine all military procurement contracts, big and small, to correct for any bias that results from the $100-million reporting requirement. Public Works issued a notice to the defence industry in early 2008, calling for letters of interest to replace the existing Westinghouse AN/TPS-70 radar systems, saying they were "past their life expectancy [and] are no longer supportable." But National Defence spokesman Maj. James Simiana said the existing systems "are operational and they are still capable of supporting both Bagotville and Cold Lake." An Ottawa spokesman for Thales Canada, Siegfried Usal, confirmed there's an agreement in principle with Public Works to terminate the project.